With just five months to go until the Opening Ceremony of London Olympics, you may be one of the many millions of visitors to the capital who are wondering where you’re going to sleep while you’re there. I don’t have that worry – although I live in London, I wasn’t able to get tickets for any of the Olympic events. However, I have started to receive emails and calls from friends and family around the globe asking whether my spare room happens to be free. I’m not surprised either, as the price of hotel rooms in London between 27 July and 12 August have soared. Even without the Olympics taking place, staying in London can prove to be expensive. I checked this morning, and a double room in the Best Western hotel on Shaftesbury Avenue for Saturday 7 July costs £279. Fast forward to Saturday 4 August, the day of the men’s 10,000m final, and that same room jumps up £191 to £470. A room at the Crown Plaza Shoreditch hotel for Friday 27 July – the day of the Opening Ceremony – is available to book today for £401.50. That’s a substantial amount of money to fork out just for a night’s accommodation – is this really what people are expecting to pay? Which? Travel has been tracking prices at four UK hotel chains most visited by our members – Best Western, Holiday Inn, Premier Inn and Travelodge – since July 2011. Searching online today, Premier Inn has more reasonably priced rooms on offer, but it’s still going to cost you £199 to stay in their Barking premises on Friday 27 July. The room is available for £86 on Saturday 7 July. Travelodge’s King’s Cross Royal Scot hotel will set you back £196 on Saturday 11 August, but on Saturday 18 August, when the flame will have gone out, a room is going for more reasonable £75.95. Where will you stay, and what will you pay? If you really want to save on your Olympic accommodation, you may prefer to pitch your tent. The Camping at the Games website, powered by Campingninja, is working with community sports clubs to provide camping facilities during the Olympic and Paralympic Games. And it’s also been announced that The Queen has agreed to almost 300 pitches being made available to accommodate up to 1,000 people within the former private hunting ground of Windsor Great Park. Apparently tents, caravans and motor homes will be made welcome at the site for £40 a night, as long as you stay for a minimum of three nights. It certainly seems to make financial sense – just pray it doesn’t rain! So, if you’re off to the Olympics this summer, will you be avoiding hotels due to the cost? How much would you be willing to cough up for one night in London? Not in any way surprised. I’d sooner hotel outside London and Taxi in. Join the “Edinburgh during the Festival” club!!! Quite, simple matter of supply and demand. Thinking about staying in Paris and getting the Eurostar across to watch the free events in London (and get involved in the Olympic Party Spirit) without the massive cost of a hotel room. Did find some good accommodation choices on http://www.budgetplaces.com for London, but also thinking about staying elsewhere in the UK and commuting in on the train. Cambridge looks nice!! This pointless exercise could be repeated for any other key event in any major city in the world. It is simply a case of supply and demand that every industry everywhere in the world works too. Plus with LOCOG taking down average hotel rates by averaging out the last 4 years prices for their commitments to their partners hotels need to maxmise their last remaining bed stocks. Expect more rooms to become free nearer the games as domestic bookings will be few and far between. People just need to look at the regional hotels or stay at home! The point of the Olympics is a big PR exercise. Paying funny money hotel prices for standard accommodation is a good start to welcome strangers to the real London. From there it will go to expensive, overcrowded transport, small change from a tenner for a cup of coffee, mediocre, expensive service, unaffordable restaurants, with the extra free pleasure of other peoples children running riot. Everyone but the besotted sports hacks will be glad to go home. I generally stay up in London a few times over the summer when going to the Proms. As trains to/from Essex will be affected, this is even more necessary. Prices in university rooms – usually fair though not cheap – have risen 2 or 3 times. Are we saying it is OK to charge whatever you can get? In August every year for the last six years I have taken my family to London on 1st class with virgin. The normal fare would be £182 this year Virgin has seen fit to try and charge £480 for the same journey. In any other walk of life that would be classed as criminal, Virgin should be ashamed of themselves for this disgraceful and morally wrong profiteering. 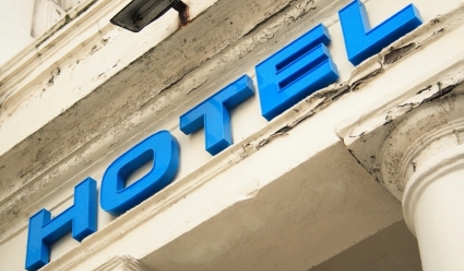 Are hotel booking sites ‘misleading’?